Home / Latest / Facebook Fan Giveaway! 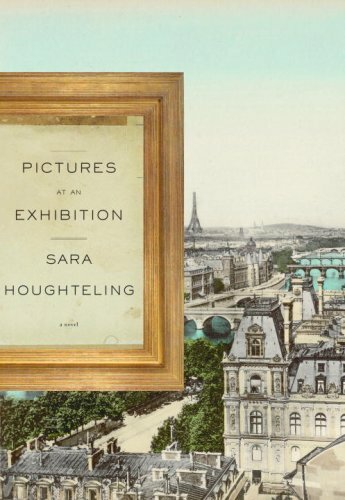 Facebook Fan Giveaway: Win a Free Copy Of “Pictures At An Exhibition” by Sara Houghteling, winner of our emerging writer award! Our first in a series of giveaways to celebrate our 35th anniversary, become a fan of Moment by next Friday (April 30) and be entered in our Facebook Fan lottery to win this amazing novel. Moment will send 3 lucky winners the book free of charge (note: only to US addresses). So spread the word to friends and family. Become a Fan today for your chance to win! Drawn from the real-life stories of France’s distinguished art-dealing families, Pictures at an Exhibition recounts Max Berenzon’s quest to recover his art dealer father’s collection of fine paintings in the aftermath of the Nazi’s occupation of Paris. After emerging from hiding in the south of France, Max quickly becomes obsessed with locating the lost canvases, convinced his success will finally prompt his father to grant him inheritance of the family’s gallery. As he navigates the torn postwar city in search of both his family’s masterpieces and his longtime love, Max discovers the tragic disappearance of his closest friend and reveals the truth behind a long kept family secret.